Fight fatigue and feel energized. You need a source of lasting energy. 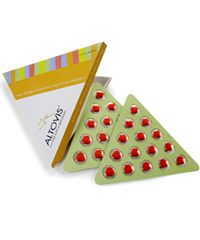 You need Altovis.Altovis was developed to safely give your body back the energy it needs. The proprietary blend in Altovis helps to support improved energy levels, mental acuity, and brain function. We're all been there. That point of fatigue where the sense of exhaustion reaches every bone and every muscle, causing us to feel run down and eventually just...stop. Some of us rely on a quick fix from a soda or candy bar to jumpstart our energy reserves and give us a sensation of greater energy. The problem is, these solutions provide only a temporary boost after a few hours, the natural body levels regulate, causing energy to crash and leaving us feeling even more fatigued than before. Altovis was developed to safely give your body back the energy it needs. The proprietary blend in Altovis consists of a combination of green tea leaf extract (provides 100 mg caffeine), cordyceps extract (mycelium), Eleutherococcus senticosus/Panax ginseng standardized extracts (root), vinpocetine (from vocanga tree seeds), and octacosanol. This blend was designed to keep your energy level up longer. In fact, for most people, one tablet of Altovis in the morning keeps them energized all day. Chronic fatigue can be a sign of something serious, so if you suffer from prolonged, unexplained lethargy or weakness, see your doctor. However, if you have an active life and just need extra energy to keep up, try Altovis.